Time: The morning session is from 10.00am to 11.30am and the afternoon sessions from 1.30pm to 3.00pm. This begins with a short group time together sharing in songs, a story and a prayer. We then have a craft activity based on the story which carers are encouraged to complete with their children. This group time lasts about 15 minutes and afterwards we have an informal playtime for the children with a wide variety of toys. We provide drinks and refreshments for the adults and children. There is no formal charge for Pramtime just a voluntary donation. We limit each session to 30 children. All our leaders are DBS checked. 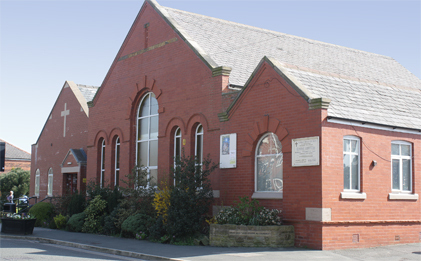 We have links with the Failsworth Children’s Centre on Propps Hall Drive. Please contact us before attending for the first time, as there is sometimes a waiting list due to the high demand for the places.